Rohde & Schwarz, like many companies in this sector, were once known as hardware manufacturers but are now evolving to offer new solutions. In a future where IP connectivity reigns and resolution increases to 4K and beyond it is vital to innovate. In tune with one of the themes of the show, the company is focusing on IP solutions. The Broadcast Bridge talked to Hannes Strobel, vice president of monitoring & headend at Rohde & Schwarz, to hear his view on the fast evolving world of broadcast technology. 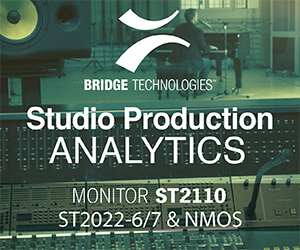 Broadcast Bridge: There is much talk of a move from SDI to IP for live audio/video streams. How does Rohde & Schwarz see this developing? We have already seen this on the distribution side e.g. for streaming media delivery. For the conversion from SDI, it is starting now, which we will reflect at IBC. We will present solutions from production and playout to monitoring. In the production and contribution areas, there are two ways to go: SMPTE 2022-6 (wrapped SDI multiplex over IP) and 2110 (separate audio, video and data streams over IP). We feel that 2110 offers a number of advantages by carrying audio, video and data as separate streams. We aim to support both standards but we see users primarily moving to 2110. The Venice ingest and playout platform is to be shown at IBC with upgrades to fully support IP. Rohde & Schwarz will also be showing an enhanced RelayCaster for live content contribution over public IP networks, now with integrated SDI/HDMI input and encoding. RelayCaster removes packet loss over unmanaged circuits. This product comes from the recent acquisition of technology of Motama GmbH by the Rohde & Schwarz subsidiary GMIT. Also at IBC will be the Prismon monitoring and multiviewer system first shown at the 2017 NAB Show, with the emphasis on IP. It supports SDI, SMPTE 2022-1/2, SMPTE 2022-6, AIMS/SMPTE 2110, ASPEN, HLS and DASH transport standards as well as media formats including MPEG 2/4, HEVC, J2K and TICO. The company will be participating in the IP Showcase at IBC2017 where more than 50 vendors will be working together to demonstrate real-world IP interoperability based on SMPTE ST 2110 final draft standards and AMWA NMOS specifications. We will also be showing our encoding and multiplexing product, the AVHE100, which is also fully IP-based. Prismon convergent next-generation monitoring for broadcast and streaming services supports ST 2022-6 and ST 2110. Broadcast Bridge: Broadcasters are starting up UHD services, especially in the area of sports broadcasting. Some commentators believe this will accelerate the move from SDI to IP. How do you see the growth of UHD support throughout the live production chain over the next five years? We don’t see UHD as a separate issue, as our products have to support SD through to UHD, so UHD is just one component we have to reflect, but UHD is not the sole motivation to move to IP. However, UHD does present issues, you require 12Gb/s. Quad 3G SDI is not the most elegant way to do it, and 12G SDI over copper which is not ideal for long distance distribution. The GMIT RelayCaster allows the public internet to be used for high-quality IP broadcast circuits. Broadcast Bridge: There has been talk, especially in Germany, about LTE broadcast and intelligent delivery replacing conventional UHF/DVB broadcasting. Do you have a view? We see LTE complementing DVB broadcasting, rather than replacing it. We are interested in audio and video over LTE. In fact, we are participating in the 5G Media Initiative. The goal of the partners in this German initiative is to leverage the potential of the upcoming network standard 5G for the media sector by promoting collaborative research and development. The partners are Kathrein, Nokia, Rohde & Schwarz, Telefónica, Bavarian Broadcasting Cooperation BR, Southwest Broadcasting Cooperation SWR, the Fraunhofer Institute for Integrated Circuits IIS, the Friedrich-Alexander-University Erlangen-Nuremberg FAU, the Institut für Rundfunktechnik (IRT) and the Munich start-up company Cadami. We think 5G has a large potential for the media sector. We want to bring both broadcast and 5G together to lavage the advantages of each in a joint approach. The first tests were made in 2016 in Bavaria, and the results have been proposed to 3GPP standards board for evaluation. Ericsson, Cisco, and others are looking at data network requirements advancing over the next ten to twenty years, and video is likely to be a big factor in that. The dedicated broadcast and multicast infrastructure has advantages for live, joining that with mobile has a big potential. Broadcast Bridge: What developments do you plan for manufacturers in the UHD and IP domains? Test & measurement products for manufacturers continue to be a high focus market for Rohde & Schwarz. UHD and IP technologies are a hot topic for the company. Our signal generators truely support UHD transmission standards and test suites for receiver manufacturers. Here the focus is on the broadcast delivery formats including DVB-S2, -C2 and -T2. However, IP is not such a big factor on the test bench for manufacturers. Broadcast Bridge: What developments do you plan for broadcasters and content providers in the UHD and IP domains? UHD and IP both have a large impact for broadcasters. At IBC2017 Rohde & Schwarz will have a range of products that support UHD and IP for ingest, monitoring, and OTT distribution. With workflows now oriented to multiformat delivery, products like Venice allow broadcasters to choose the most appropriate manner for their workflows. Big challenge for the broadcasters is the number of IP-based standards. 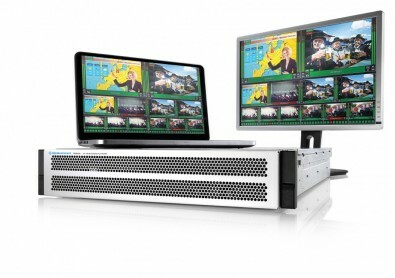 The multi-format monitoring system, Prismon, was shown at the 2017 NAB Show supporting the SMPTE 2110 standard, and will be shown again at the IBC2017 IP Showcase. GMIT will be shown collecting the monitoring data from several Prismon units, and connecting in a highly secure way to display information from a number of – even regionally spread -Prismon probes to display on virtuWall, an iPad app. The company expects encoding UHD with HDR still to be a hot topic at IBC. We aim to provide the best possible picture quality together with HDR at the lowest possible bit rates for applications like OTT distribution. That way existing delivery channels can be used without the need for extra bandwidth. Broadcast Bridge: How would you say Rohde & Schwarz differentiates from other vendors? Audio/Video is in the DNA of Rohde & Schwarz. We have decades of experience in the terrestrial television and in the radio markets, together with audio/video test & measurement equipment. There is much merger and acquisition activity in the media sector, which leads to uncertainty over who you might be talking to tomorrow. In contrast, Rohde & Schwarz is a privately owned and highly stable company. 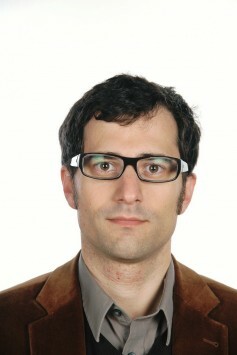 IP will be the relevant propagation technology in future is without question, and we are very well prepared for that. Another aspect which is of particular interest to broadcasters is IP security. Rohde & Schwarz has decided to build a new business area in cyber-security. The technology will secure IP links in and out of a facility and will be added to the classic portfolio. Another advantage the company has is that we still manufacture most of the components ourselves at our three European facilities, two in Germany and one in the Czech Republic. We manufacturer up to 90% of the content of products ourselves which allows full control of quality. Being privately owned and being keen to drive forward technologically, we can build on a stable base to master the transfer from legacy broadcast infrastructure to an IT-centric, IP environment with virtualization, cloud-based offerings and software as a service. There is plenty of room for us to grow and look after our customers.